McCallum: 450,000 Immigrants Per Year a ‘Huge’ Number - Canada Immigration and Visa Information. Canadian Immigration Services and Free Online Evaluation. Canadian Immigration Minister John McCallum has indicated that increasing the number of newcomers to 450,000 in five years is likely beyond what the federal government is prepared to approve. A report by the Advisory Panel on Economic Growth stated that in order to spur growth in Canada’s economy, a 50 per cent increase in skilled worker and entrepreneur immigration was required. 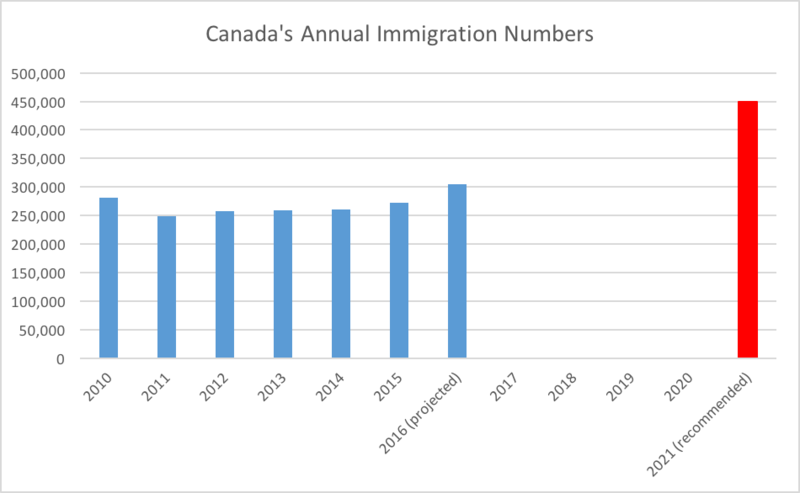 With immigrations levels already set to exceed 300,000 in 2016 – a record for the modern era – McCallum feels a further increase of the size the influential panel is pushing for would fail to garner cross-Canada support. He described the suggested figure as ‘huge’ and said increasing immigration was not a universally held view. McCallum’s long-awaited announcement on immigration targets comes in November, and he has had to work hard to gather support for what will likely be a more modest increase in numbers. Innovation Minister Navdeep Bains is on board with McCallum, supporting the idea of a global talent visa to attract the best and brightest from around the world. Bains says Britain’s vote to exit the European Union and the support for Donald Trump in the US could play into Canada’s hands if immigration policies are handled correctly. Recent polls suggest not everyone is convinced by the Liberal plan to increase immigration, although it depends how you look at the responses. Businesses have consistently made the argument that their growth is being restricted by a bogged down system for bringing in international talent. Too often the best hires are lost because it takes so long for companies to complete the required paperwork, forcing in-demand talent to look elsewhere. Under both the Express Entry System and the Temporary Foreign Worker Program, the need for a time-consuming Labour Market Impact Assessment (LMIA) is where the bottleneck lies. The LMIA is the process of proving there are no qualified Canadians to fill the available position. However, others have warned the government that any increase in immigration numbers needs to ensure the right people are being brought in. While there is an acceptance that the attraction and retention of skilled labour is a key challenge, there is also a feeling the government can do more to make sure those coming in fit Canada’s requirements. Furthermore, the skilled workers that fit Canada’s requirements are also likely to be sought-after by other key immigrant-receiving countries. 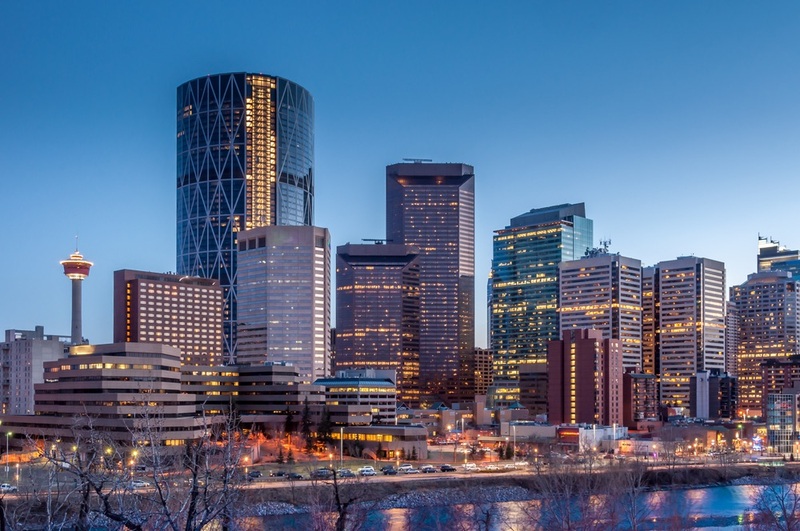 Although Canada was recently highlighted as one of the top four receiving nations in a study of skilled worker migration, it faces major competition from the other three on the list – namely the U.S., U.K. and Australia. This is where Bains’ feeling that the rise of protectionist politics – particularly in the U.S. and the U.K. – could play into Canada’s hands. Easing the process of bringing in skilled labour is one of the primary aims McCallum has with his overhaul of the immigration system, which should become clearer once targets are set in November. The Liberals said they would prioritise family reunification during Justin Trudeau’s election campaign, but a series of meetings with businesses and provincial lawmakers has convinced McCallum of the need for greater economic immigration. The Liberals made family reunification a key element of their campaign for election, and McCallum is looking at ways to speed up the whole process of bringing in immediate family members. There are also plans to make it easier for international students to stay in Canada after they graduate. McCallum feels these young, Canadian qualified, Canadian experienced individuals are the perfect candidates to become new permanent residents. McCallum also plans to address the technology talent shortage in Canada by making it easier to bring in new immigrants with the right qualifications. Limitations on the Temporary Foreign Worker Program are set to be relaxed, with a report into the current state of the program expected to be released in September. McCallum has already given Atlantic Canada the freedom to bring in 2,000 more immigrants under Provincial Nominee Programs in 2017. These numbers could rise in 2018 and 2019 if the increase is seen as a success.